A letter to Mrs Edna Molewa, South Africa’s Minister for Environmental Affairs: carry on the good work with rhino, but please – no more talk of trade. You are at:Home»Wildlife»A letter to Mrs Edna Molewa, South Africa’s Minister for Environmental Affairs: carry on the good work with rhino, but please – no more talk of trade. Yesterday you reported on the government’s ‘integrated strategic management plan’ for rhinos that was approved in August last year. You and your colleagues should be congratulated: a number of elements of the plan are already taking root and showing encouraging results. The decision to move some rhinos from areas of high risk into what are termed Intensive Protection Zones (IPZs) is sound. Already 56 rhinos in the Kruger National Park (KNP) have been moved to an IPZ where they have been collared so that they can be easily tracked. It makes sense to have some rhinos in constricted areas where concentrated security measures are easier to put in place, compared with trying to keep tabs on animals moving in a much wider area of the KNP, especially near the border with Mozambique where smuggling is relatively easy. It also makes sense that 100 rhinos have so far been moved to neighbouring states. You say that ‘through this method we aim to create rhino strongholds: areas where rhino can be cost-effectively protected.’ I agree and am glad that such translocations will continue throughout 2015. While this has been happening, anti-poaching initiatives have been stepped up in both frequency and sophistication. For example, funding for the development of a special forensics laboratory has been forthcoming, as has money for equipping and training mobile forensics teams for better data gathering and crime scene management. Furthermore, the training of customs officials at major air and sea ports is paying dividends. More contraband goods are being detected and more traffickers are being brought to book. As a corollary to this, state prosecuting officials, including magistrates, are being given specialised training. This is particularly important as in the past shortcomings in legal procedure have seen many criminals either getting away lightly or even scot free. You rightly comment that: ‘it is clear that the improvement of actionable intelligence will ultimately contribute towards a rise in the numbers of people arrested, prosecuted and convicted for poaching-related activities, as well as for corruption.’ Strides have also been made in inter-state cooperation involving Interpol and other crime-fighting agencies. So, although the number of poached rhinos in 2014 rose to 1,215 from 1,004 previously, the actual rate of increase has slowed. And while this might be cold comfort, there is justification for your claim that: ‘given the highly organised nature of the syndicates, we believe these figures could be considerably higher were it not for our interventions.’ But, while I laud the progress you and your colleagues have made and your resolve to continue, I have grave reservations about some of the things that are happening. As part of the translocation strategy South African National Parks has called for tenders to purchase rhinos. Presently 20 bids are being considered. There is nothing new in this process and in many ways it is a sound way to develop and grow viable rhino populations on private land, and to generate funds that you guarantee will be ring-fenced and ploughed into ‘conservation projects, including rhino conservation;. However, the phrase ‘including rhino conservation’ makes me immediately suspicious as it gives far too much leeway in the disbursement of the funds. Quite simply, any money derived from rhino sales should only be invested directly into rhino-focused projects. And that’s that. I am further troubled by the fact that for an owner of rhinos, taking into account the purchase price of the animals and the subsequent cost of their security, the only business justification is to farm the animals and crop their horns for sale in Asia, where demand remains high. The problem with this is that it is currently illegal to sell rhino horn in terms of CITES, to which South Africa is a party. And it is this impasse that private rhino owners seek to break by convincing you and your government to motivate a trade-friendly change to the CITES rules in terms of rhino. For rhino speculators such a change is critical: if they can get a point of international law relaxed, they will make billions; if not, their rhino stocks are worth very little, a liability even. I strongly believe that a legal trade would be disastrous: the pro-traders are simply wrong. I understand their imperative, but I unshakingly believe that the only way to secure a future for rhinos in the wild is to kill the demand and to thoroughly disrupt contraband supply lines. Not an easy path I grant you, but it is the right one. If you haven’t seen it, watch this video for some compelling arguments against trade. What is highly disturbing is the power that the pro-trade lobby seems to wield in South African government circles. For example, in July 2013 the South African cabinet authorised your department to explore the possibility of legalising trade in rhino horn, or not. ‘I have established a Committee of Inquiry to look into this issue,’ you say. ‘Pre-screening has taken place but final vetting has not taken place. We are working with the State Security Agency to fast-track this process.’ But in many ways it seems as if the decision has been made. Quite rightly you say that South Africa needs to provide incentives to communities that will encourage an understanding of the value of rhino. (Conservation and the tourism industry, as well as government, have been shamefully slow in involving rural communities.) I agree wholeheartedly that people must benefit, and meaningfully. But isn’t it somewhat premature to have already handed over five rhino to one tribal authority and for there to be a process underway with another two? The undertaking of communities being given rhinos is that they use their land for rhino conservation and sustainable game ranching. In my book ‘sustainable game ranching’ means breeding rhino to sell horns for profit. This is certainly the message that the pro-trade lobby is putting out. And if this is the promise being made to communities, it is a promise that cannot be delivered under current CITES rules. It is a strategy, therefore, that is doomed to backfire, and badly at that. I believe that there is not a cat’s chance of CITES voting to change the rules on trade, and if South Africa remains hellbent on trying to persuade them otherwise, it will be a lot time, effort and money wasted. Recently I heard one pro-trader openly state that if CITES does not change its rules and regulations, then pro-trade states should ‘go it alone’. Go it alone? What on earth is he saying? CITES is an international treaty to which South Africa is a signatory. Is South Africa seriously going to consider reneging on CITES? What utter stupidity is such talk. Would we want to be considered a rogue state, a pariah? We’ve been down this path before in our history and we surely don’t want to walk that route again. Please consider your stance seriously. Peter – I have huge respect for you, but really now!…. Are we or you trying to dictate to the minister what she can or can’t think? Are you suggesting that she should abandon a possible solution purely because you asked her to? How on earth is considering lifting the trade ban going to have a negative effect? It is perfectly reasonable and logical that we need to explore solutions rather than highlighting problems, and just because it is against your ideals – she should abandon thinking about it. 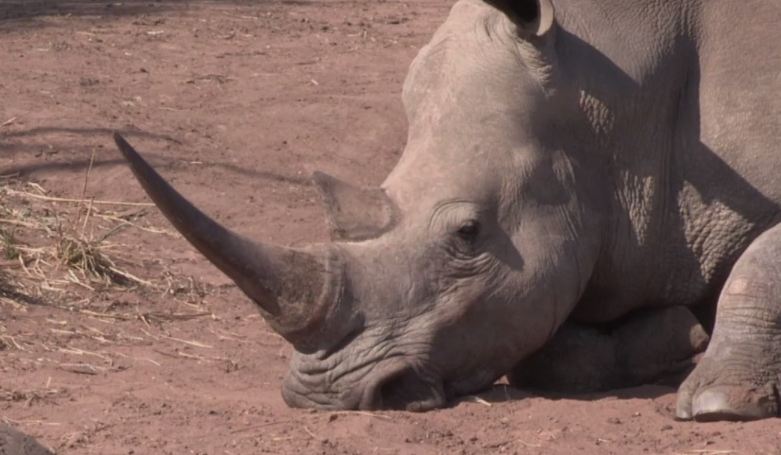 Here is s problem – the trade ban has not worked to save the rhino. Irrespective of the fact that there is a law against it – rhinos are still being killed. The law at present does not permit rhino keepers from making money out of rhinos unless they kill them. Rhinos are worth more dead than alive. So as opposed to empowering and encouraging people who keep rhino, we are giving all the incentives for people to take up crime. Until we address that issue and give rhino a greater value alive than dead – we will not change the fate of the rhino. Take a look at the panel of experts and tell me that you know better. Lets also look at this – people who support the trade ban have had their chance (37 years) to turn things around, is it now time to let rhino keepers and experts come up with an alternative solution? I feel that you have fallen into the same group of people who are quick to find problems with solutions that go against their ideals. There is no proof that a controlled trade will fail. There is proof that the trade ban has failed – the body count is published every day and graphic pictures fill the internet with reminders of the failure if the trade ban. Yes – I was the person who hinted that the CITES treaty is in grave danger of outgrowing its usefulness to Southern African rhino range states – especially South Africa , custodian of over 88% of Africa’s rhino. Denying South Africa its constitutional right to trade its carefully nurtured wildlife resources – and that includes international trade in a non -harmful substance like legal rhino horn – as a means of propping-up the costly suite of failed “demand reduction” measures, is an insult to its people. Increasingly – in many areas of policy, not only wildlife conservation – African states are waking up to the fact that the time has come to reject western imposed ideology and to independently determine their own policies. If you want to call that stupid , go ahead ; but in light of the tally of 1215 rhino poached in 2014 we happen to see it rather differently. Excellent appeal, very much appreciated. Thank you for voicing so brilliantly what so many of us across the world feel. If South Africa chooses, it can be a paradise on earth – ecologically, financially, morally. And yet as we watch the old human scourge of greed and corruption seem to have taken over this beautiful land. One can only hope that wills and voices like yours will prevail. That beauty will return to this wonderful land. I have only one bone to pick in your letter. And though it seems petty, it’s also something that stood out for me as a warning. A loophole for fate. And wily politicians. You use the term “cat’s chance” … The cats are really having no chance at all … How many lions and leopards, civets, cervals and cheetah and all the lesser known cats are being killed every day in South Africa? While the rhino and the elephant have become icons of critically endangered species and anti-poaching activity, the cats are not far behind … Would you raise a plea for them too?